Apartments that have flexibility, storage and sense of community similar to single-family homes will help sustain the downtown renaissance. 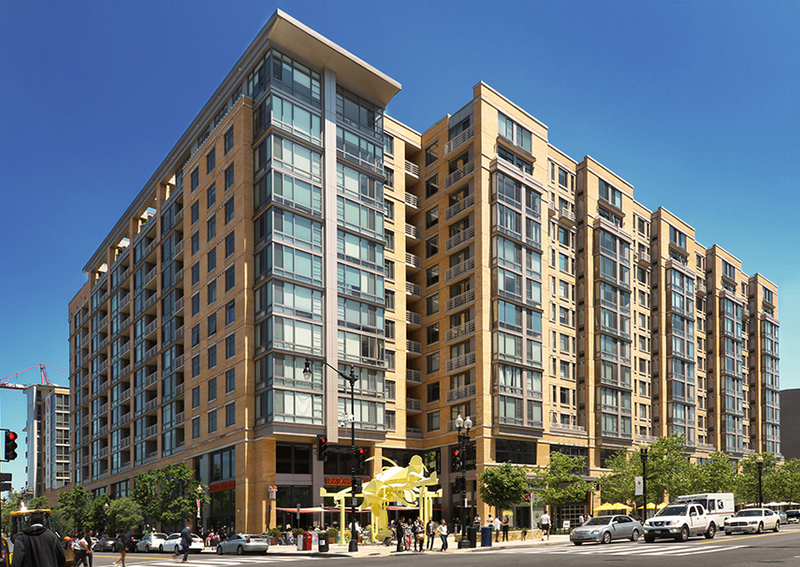 An apartment-building boom is unfolding in the downtowns of major cities across America. Post-recession, much of it consists of small apartment units geared around the idea of the millennial generation. We ask what implication this small-apartment boom could have on the continued success of reviving downtowns. Over the past two decades, downtowns have made a big comeback. Previously desolate urban centers are reviving around the idea that downtowns are enjoyable places to live. Restaurants, bars, shops, and busy streets right outside the front door make for a much more vibrant experience than the suburbs. Today, it seems that the demand for this type of lifestyle can hardly be met. The number of units needed to house all those who would like to live in dense urban centers is counted not by the hundreds or the thousands, but by the ten-thousands. By any measure this would indicate that the downtown renaissance is a continued success. Since the Great Recession, much development has been centered on small apartments and Millennials. These two go together like peanut butter and jelly: as industry wisdom will have it, Millennials are the ultimate urban denizens who are ready to trade living space for the city lifestyle. They live car-free and take Ubers instead, meet friends in coffee shops and gastro pubs and often find roommates to afford apartments with entry-level salaries. And so, across the U.S., many developments have a large number of small and highly efficient units. Shared amenity spaces, like pool decks with BBQ pits or lounges with table soccer, make up for the lack of space in each individual apartment. New research suggests that Millennials, who were thought to decidedly prefer the urban lifestyle, are beginning to move to the suburbs. As Millennials approach their late 20s, they are moving away from urban centers and to suburbs to start families, make longer-term job commitments or look for home ownership opportunities. If this is the beginning of a larger trend and large numbers of Millennials leave downtowns, this could indeed pose a threat to the urban renaissance. While some commentators are already celebrating the ultimate victory of the suburbs over dense urban centers, we take a decidedly different view: Downtowns and dense urban centers have been and can continue to be home for individuals and families. But, the focus on small units has left many downtowns with few options to make urban life a true long-term home. There is a real chance that demand for small apartments will dramatically break off. Small and efficient apartments tend to accommodate very specific needs, but they often don’t provide the flexibility to be a long-term home. This has several reasons: Small apartments are just that, small. Often, they are reduced to the absolute essentials. Compact kitchens have little counter space and few cabinets, enough for a simple cooked or prepared meal but little more. Storage space is usually lacking. A lifetime of belongings will not find space and many are stored still at home with parents or other family. And, with dining, kitchen, living, and circulation spaces overlapping there is little room for entertaining any number of guests. In studio units without a dedicated bedroom this problem is further compounded. This scarcity of space leads to compromises in the everyday life and there is little flexibility to accommodate changing needs or growing households. 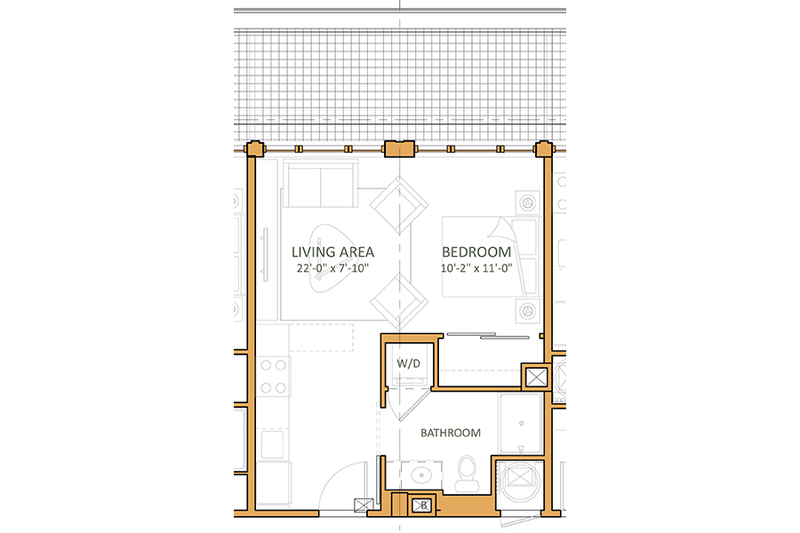 The sheer size of many small-unit buildings further undermines the sense of home. Typically several dozen apartments are located on each floor. Uniform entries line long and impersonable hallways. Knowing your neighbors is rare and the chance encounters in elevators and parking garages don’t make up for the feeling of living within a community of strangers. The hotel-like amenity spaces and lobbies, which are often grand and beautiful, only further underscore the feeling that a stay here is temporary rather than long-term. Often it is only a matter of time before residents look for a “real home. 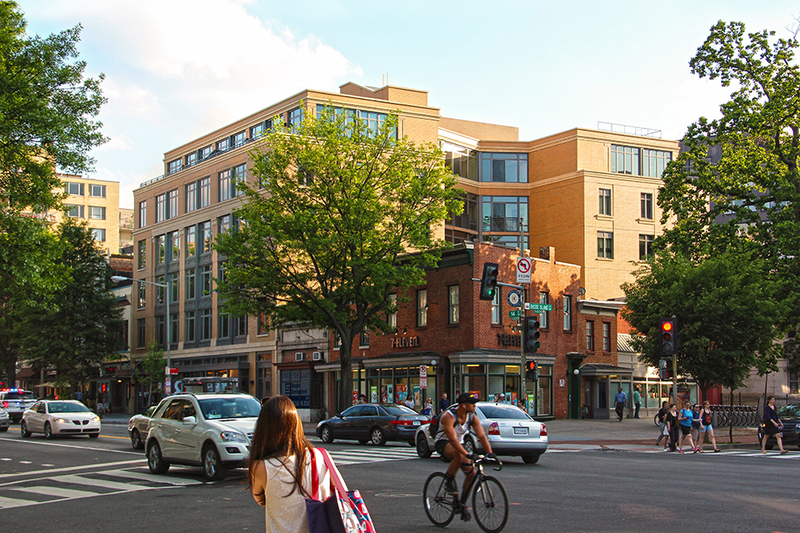 Whether we like it or not, urban apartments are competing with suburban single-family homes. To compete, reducing the need to relocate is a goal in itself. Every move has the potential to become the excuse to “flee to the suburbs.” Making apartments that have some of the flexibility, storage and sense of community that single-family homes have will therefore help sustain the downtown renaissance. Sustaining the downtown renaissance is not only about continued growth, it is also about preserving the values that have already been created in downtowns. Diversifying the apartment pool will do precisely that. We need to expand the palette of apartment types and models to: accommodate changing living situations and family sizes; take into consideration the social function of homes; and make buildings where you have a sense of ownership and know your neighbors. Successfully doing so would put downtowns into the business of competing for new residents as opposed to competing for a shrinking pool of Millennials that chose to live in the city. A wider range of urban apartment models actually has the potential to expand the downtown renaissance to the generations that have previously forgone urban apartments for precisely the reasons Millennials are leaving them now. Maybe soon we will see significant numbers of Baby Boomers and Gen X’ers looking to relocate to a swank downtown neighborhood.